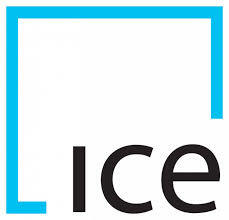 New York Stock Exchange owner, Intercontinental Exchange (ICE), has confirmed it won’t make a bid for London Stock Exchange (LSE). In March, ICE had said it was considering making a rival bid for LSE – setting up a potential takeover battle with Deutsche Börse. That never happened as a few weeks later in March Deutsche Börse and LSE reached agreement on the terms of an all-share merger of “equals”. ICE has now released an official statement concerning the matter. The Deutsche Börse / LSE merger will create a Europe-based global markets infrastructure group across multiple asset classes – derivatives, equities, fixed income, FX and energy products. The combined group will maintain its headquarters in London and Frankfurt. Xavier Rolet, CEO of LSE, says the merger will “accelerate growth” and its “shareholders will also benefit from substantial cost and revenue synergies”. With the merger going ahead, Rolet has promised to leave LSE. French trading solutions and connectivity specialist Ullink has agreed to acquire NYFIX and Metabit from ICE Group, as part of a deal the international company says will give it brand recognition in the US and new opportunities in Asia.